1) gather together the back and legs section of a new dwarf warrior, a Chaos Warrior head, and the army you want on the model, and stick the feet to a base. 5) glue a number of these beardlettes on to the model, just under the head, experiment with different positions to get a good looking beard. You get plenty of spare chaos warrior heads in the box set, but alternatively you could just buy the command sprue which come with a large number of heads, including one which is good for champions, and anothe which is good for characters, as well as a banner and a small horn and lost of chaos warrior shields that could be used for BC. This post was last modified: 08-10-2017 04:27 AM by Admiral. 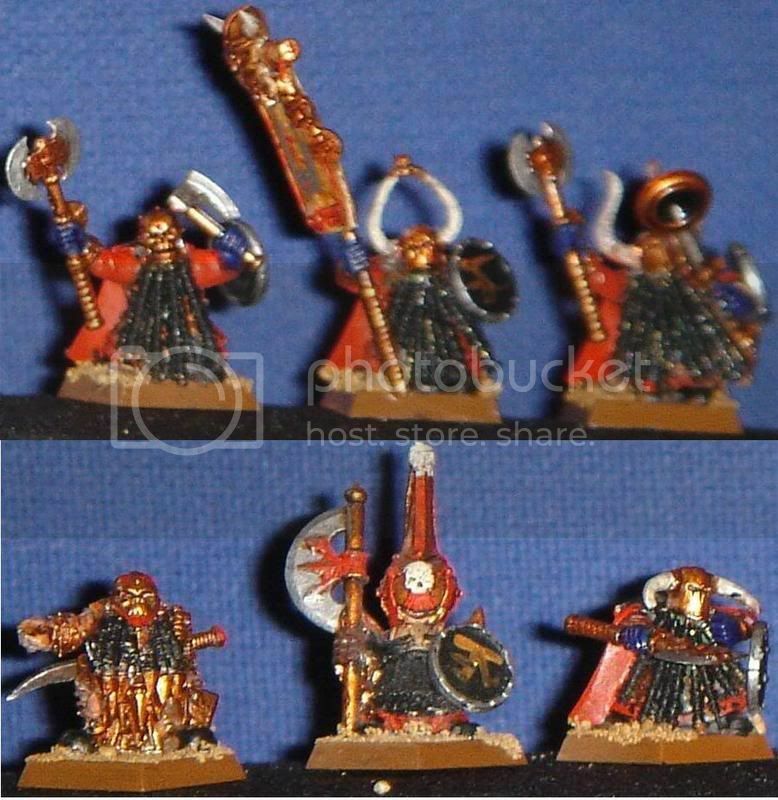 Did you ever try to sculpt the beards rather than using those springs, they look a bit too skinny to me. As if they're not very full, if you catch my drift. Just my opinion. I like the idea though, looks nice. I think the beards work, but they are too straight. Surely they can be bent a little? The Helmets actually work now since the scale of the Dwarfs has dropped a lot. Might still be a little too skinny, but nothing extreme. I agree that the beards look good, but need to be perhaps a little shorter and look a little less hair-gelled. They are too rigid for beards IMO, but otherwise awesome. ill bet if he used a bigger pin it would work great. Talk about threadomancry, this was one of the first threads posted on this forum! Well i like the beard making idea!!! !